We are engaged in offering Computer Printer Papers to the clients. The Computer Printer Papers are available in different sizes like A4, A3 etc. to meet the specific requirements of the clients. Our Computer Printer Papers are of fine quality and has pure white texture. 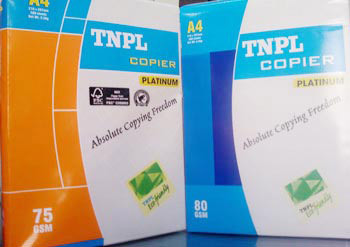 We can provide the Computer Printer Papers in bulk quantities. These Computer Printer Papers help in smooth printing and are available in special water proof coverings.